Homeowners frequently ask us, “Should I provide linens?” Although there’s no right answer, I have to say that linens and towels are a very popular amenity, particularly for vacationers who are traveling long distances. Generally, those who rent the larger and more expensive homes expect to be provided with this amenity. Today’s vacationers like to arrive at their vacation home and start…well, start vacationing. But the benefits to vacationers of your providing linens must be weighed against the added time and expense it can create for you, the homeowner. One of the biggest problems is finding someone to do the laundering after the tenants depart. If you use a cleaning company, their time is limited, and linen laundering is sometimes not included in their services. Linens and towels also get stained easily, and it’s very important to provide clean, fresh-looking linens for your next guests. One popular option is to provide all bed linens but ask tenants to bring their own towels. This drastically reduces the volume of laundry for you or your housecleaners. Another option for providing linens is to hire a linen service to deliver linens to your vacation home and pick them up after the tenants check out. Some will even make the beds! See our Home Services Directory for linen services near you. I do provide linens, towels, and beach towels for my own 4-bedroom rental home. I ask my tenants to launder the beach towels, since they leave on Saturday and in all likelihood will be finished using the beach towels on Friday. And I ask them to strip the beds on checkout morning and leave the used linens in the laundry room. In addition to a cleaning service, I have hired a woman to collect the linens and take them to her home to launder. Since I have three sets of linens for each bed, and multiple sets of towels, she always has a fresh set to lay out on the beds for the next tenants to use. You can either absorb the cost of using your own linens or hiring a service, or you can charge an additional fee for linens. Again, larger homes and those charging more than $3,000/week usually include linens at no extra charge. 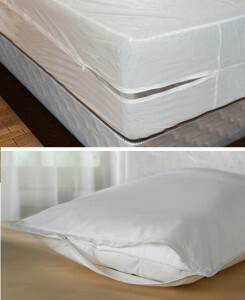 Put pillows into cotton protectors in order to keep your pillows stain-free. Be sure that all bedding is clean and stain-free. This includes mattresses, mattress pads, pillows, and blankets. Stained and dirty bed linens are a serious turn-off to tenants. Consider providing only bed linens and not towels, which add considerably to the volume needed to get cleaned during the turnover. Vacationers tend to use an inordinate amount of towels. Be sure to provide at least 2 sets of bed linens for each bed. Be very explicit with your tenants about your expectations regarding the linens prior to their arrival. If you charge extra for linens, be sure to enter this in the “Other price info” field on your listing’s calendar. If you provide linens and towels, what system works best for you? According to ma state law, accommodations typically of a week or less that provide linens are considered taxable under state occupancy tax laws. Additionally, they would also most likely be taxable under town occupancy laws. In most areas that woukd mean adding, collecting and submitting around an extra 10%. Not providing linens is a way to get around these laws and there are plenty of businesses that rent linens out there that can accommodate the needs of visitors that can’t bring their own. cape practice, this was the first year I ran into a complaint (after they had gone home) –which made it even stranger since she knew from her first inquiry that she was expected to suppy linens. However, I always bring it up and offer to supply linens when someone is coming from some distance via non-car transportation. But after the first time I did that, I saw how much extra time and effort that was, and impossible in the short change-over window, that I offered a linen rental arrangement instead, which usually they want to arrange themselves. There is another reason that I would urge us in the Cape and Islands part of the world to continue to require linens and that is the phenomenal draw on our vulnerable water supply all this extra laundry would be. The entire Cape is on one aquifer, and the population pressure coupled with the expectation of having a washer and dryer available has added enormous water demands as well as dumped huge extra amounts of detergent and –much, much worse, tons of chlorine into the septics which is hugely toxic. All this obviously eventually comes back to us from the ground. It is partly because of this increasing pressure that more and more places are having poor water quality developing, and I am afraid we are in for a lot more to come. Indeed, I have been thinking that we would do well to urge our our homeowners to take an active role in educating their tenants and requesting that they take an active and responsible role to help to safeguard our drinking water supply and to help maintain the delicate environment that is Cape Cod. Many simple steps such as not shampooing in the ponds or in the outdoor showers and by offering to take their own laundry home to do where there are municipal water treatment plants…or at the least try to conserve clean water as much as possible would really add up to make a huge difference and help to guarantee that they and we we can continue to come and enjoy this special place. I believe we should take several different initiatives to help guide people in helping to mitigate the wear and tear on the environment here because many people are simply not aware how fragile it is and how easily we can lose it all. I say much about this in the hand-out I leave for my guests, and they often thank me for the information. So please, folks….don’t use Clorox in your laundry! It is terribly toxic. Soap and really hot water will kill most everything you’d find on sheets and towels! Nice question you are asking, you should provide Linen to your holiday rentals, it may attract more visitors, and it is now necessary to well furnish your holiday rentals. In Australia, Bruny Island , Tasmania, Captain cabin offer best services to their guests coming to stay there. Richard, nice little piece of spam advertising for your hotel. Were I going to Tasmania, I’d want sheets provided. Driving from Boston to the Vineyard, not so much. Again, don’t really care about Calif or Australia on this site. Can’t it be limited to Cape and Islands? I’m being crabby, I know….. There are certainly some strong feelings on this topic. Thanks all for sharing! Kathy W here…and honestly, I’ve liked that this site really addresses the needs of owners on the Cape, Martha’s Vineyard and Nantucket. Just not so interested in the responses for totally different rental markets and “cultures”. We are totally booked for the summer and, as I’ve said before, we do not provide linens,except for our king bed. Not complaints and plenty of return tenants. Don’t really care what you guys do in SanDiego or Cannes. Since I answered this some two months ago I am surprised this debate still lingers. In our market we compete not only with other vacation rental owners but also with hotels of every price category. There is NOT a single hotel – yes, in your market too – that does NOT provide linens for their guests. 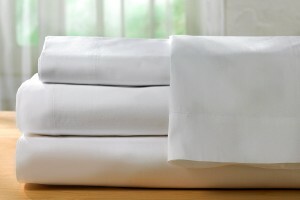 If your region is used to not providing linens, you are either losing business to hotel owners, or to owners who have caught on and are providing linens. Pay your housekeepers a little more and get with the program. I manage own 4 and manage 6 units in San Diego. Mine are 1 bedrooms except for 2 condos that are 4 bedrooms. The thought of not providing linens never even crossed my mind. We were doing out own laundry on turnover day, but after 138 loads of laundry one month I decided to go with a local linen company. The don’t have fitted sheets, so I wash the fitted sheets my self. Not only was it because of the amount of laundry but because of the amount of soiled towels actually. Cant understand why the women while at home use make was the beach towels up removal pads, but on vacation they thought it was ok to use the towels and wash cloths. Then if you change then for the soiled towels they leave a nasty review. I was like oh great, not only did they soil the linens, but then the nasty review. So I figured the it wasn’t worth the 50 dollars I charged them for the linens for a bad review. I switched to the SamSung 5.0 washer and dryer, can do huge loads in them. I do have the guests wash the beach towels the night before which leaves me 2 loads to do. One for bathroom rugs and the other bottom fitted sheets that I launder myself.. The thought of not providing linens would never be an option and if you don’t provide them your making a huge mistake, you might not think so, but you are.. For my 1 bedroom units the linen service averages about 12 dollars and for the 4 bedroom units it’s about 30 dollars. I cover that with a incidental damage fee that all guest pay. For the 1 bedroom its 15 dollars and the 4 bedrooms it’s about 35 dollars per turnover. I do cover the costs not only with the incidental damage fee, but I save a ton of time, use way less soap and laundry fixings and my machines don’t wear out either and the linens are cleaner because the laundry service washes and dries them in high heat, so they clean and sterile. This is why I need my own fitted sheets and the high heat will melt the elastic. I go way about the call of duty as to what I provide, especially for the kitchens, which is why I stay booked on the 92 to 96% rate all year/ The next one even close to me in my town is like 60 percent. I really love the business and working from home . 2 factors, I love what I do and it shows, but yes I like money too. If you just into for the cash then your blowing it and it will show. You’ll probably be b in the 60% range too. Many things are a matter of opinion, but not providing lines is a huge mistake anyway you look at it. I mean how hard is it to go though a linen company or keep extra sets of linens that can be done during the week when you have time or give the cleaning crew a few extra bucks to take the lines home to wash. I never did that and wash my own fitted sheets during the week when I have time. If you going to not provide linens, then you might as well yank the TV and internet too. I vacation rentals all over when I travel. The last thing I want to do is worry about linens.when I check in. basically providing lines is a must any way you look at it. If you don’t you blowing it. There is only one answer to this question: YES. Of course you should provide linens. Anyone who doesn’t should not be in the vacation rental business. No one on their right mind would rent from a place that does not provide it. I’ve been using vacation rentals, mostly through VRBO or AirBnB, and have never been to a place that doesn’t provide this basic amenity. The time and cost the author mentions is part of the cost of doing business, and providing a service. So she is simply wrong to suggest there is no right answer. This is good and very relevant question. Yes, if you are in this business the Bedroom and Kitchen must be properly furnished with the style and convenience of your customer. If you have the best place,( location, house, swimming pool, outdoor lanai and garden) of course that command good rental that well-off customers can only afford. I had been around, France and Italy while working with well off family. During the holiday season of summer and or winter we went-off on holiday. At summer time along Saint Thorpe and Cannes. At winter time around Albertville and Megeve, France. Having guest that were involved in the F1 Car Racing, so we need to provide them the best amenities in the Bedrooms and Bathrooms. Though we brought our best linens for the bedrooms and bathrooms as well as for the table linens and table cutleries, sometimes we ran-out of these amenities and we have to use what were provided by the house owners. We cannot imagine renting without linens. Guests either drive from Los Angeles or fly in from out-of-state (or Canada) and cannot pack the right sets of sheets with them. All of our beds have high thread count white sheets. This makes them easy to launder (we use either bleach or pool chlorine for stubborn stains) and it is not an issue matching them to decorative throws, pillows or room decor. Guests are there to relax and enjoy themselves, we pay our housekeeper to do the laundry and would not ask guests to do that. 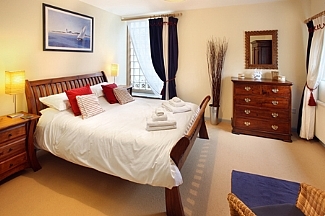 We have consistent 5 star reviews and you’d be surprised at how many guests mention the beds. 1) Everyone who commented feels pretty strongly about their reasons for providing or not providing linens. For the moment, their practices are working for them and their guests, and they see no reason to change. 2) Vacationer demand for linens, and the inclination of owners to provide them, seems highly determined by region. Owners are less likely to provide linens when a home is located in a remote or hard to reach area (potentially making the turnover window quite short) and/or how vacationers typically access the destination (car vs airplane). 3) Owners and managers need to be clear and transparent in what is included with the rental. Each one then has the option to make exceptions to accommodate guest requests or be willing to let the vacationer walk away. Here on Cape Cod, Martha’s Vineyard and Nantucket (especially the Islands), homeowners are hard-pressed to find cleaning people that are willing to strip and make beds in addition to regular cleaning, and that are available in the Sat/Sun turnover window of 10-4 (just like hundreds of other rentals in the area). Or, like me, they do turnovers themselves. We have to fight the same throng of traffic going to the Cape as the vacationers. Then, sometimes, the departing guests are running late. It’s very interesting to see how different the customs are in different parts of the country. Bert, since this is a site primarily dealing with issues on the Cape, Vineyard and Nantucket, some of your issues may not apply to us in the northeast. The overwhelming number of our renters drive a few hours to get to us. On the rare occasion they fly in, we make arrangements for them to use our linens. But Shannon is correct – it would make our cleaner hours more to do laundry…and that cost would be passed back to our tenants. Some Vineyard owners do provide linens but we don’t – and I’ve never had a complaint or comment about this issue. For us, this system is working pretty well. FYI – I am NOT the Kathy who posted above. It’s a popular name for women of a “certain age”. We do not provide linens – except for the king bed in the master bedroom. We have several sets of those sheets as many people don’t have a king at home. Most of our tenants are driving from the northeast and don’t seem to have a problem with bringing along linens. Our rent is reasonable and I think they see this as a necessary cross to bare. For our king sheets, I have found it necessary to look for dark colors and forgiving prints but I do replace anything with visible stains. I ask that tenants put those in the washer before they leave. The cleaner can then get them dried and make up that one bed. It’s worked well so far, which makes me unmotivated to change. All of these tips are very useful. Another to consider: When it comes time to replace bed linens, think about buying printed sheets with dark backgrounds. These are less likely to show wear and tear and minor stains. If you have both queen- and king-sized beds, make it easier on the crew that changes your beds before new tenants arrive. Use one color scheme for queens (blue?) and another for kings (red?). Doing so will cut down on the time it takes to find the correct contour bottom sheet for each bed. AND…I forgot to add that we have occasionally had renters who flew, rather than drove. We’ve let them use our sheets and towels – just told them to wash what they could and leave the rest for me to do later. All in all, the thought of the complications of providing linens is just too overwhelming to me. If it’s not broken, why fix it?